You rely on your home to keep you and your family safe and secure from the elements. However, radon in your home is a serious threat that many homeowners never consider, but all should know about. Read on to learn to learn the reasons why you need to test for radon in your home as soon as possible. Is Radon In Your Home? The only way to know the levels of radon in your home with certainty is to order a professional test from an experienced inspector. Exposure to radon has serious and even deadly consequences in some cases. Testing for radon is an easy way to find out if your home is safe from radon or if remediation steps need to be taken. Radon is a natural element, but it is also a potentially lethal gas. While it is more common in some areas than others, it can be found in any location. Radon is created from the natural decomposition of uranium in the ground, and the gas escapes upward and out of the soil. Many homes have small exterior cracks along the foundation or base. When radon gas escapes the soil, it can enter any home through even the smallest gaps and holes. Radon gas has had a serious impact on many lives because so many people fail to test for radon in their homes. 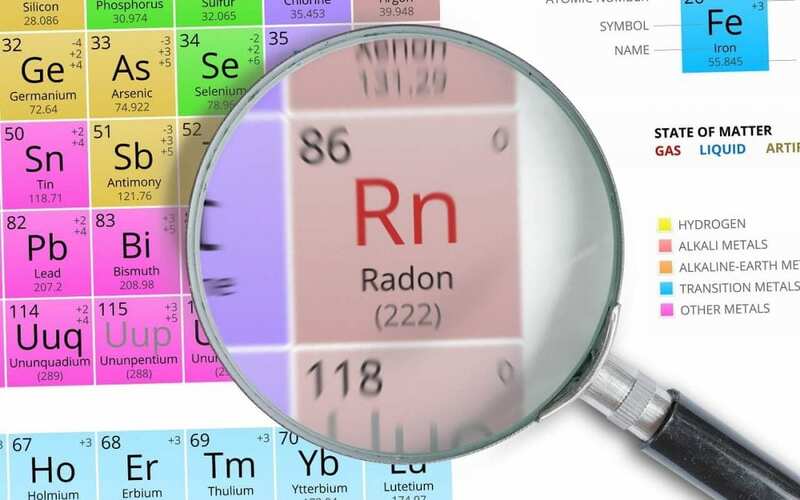 Radon is a clear gas with no odor. It also does not create any immediate health symptoms that could alert you to its presence. Without testing, you may breathe radon gas into your lungs on a daily basis for years. While radon gas may enter through the lower portion of your home, it will rise and circulate throughout your home. As more gas enters the home, the level of radon can build up substantially. If you fail to test for this gas today and take remediation steps as necessary, the levels will grow higher and more dangerous. You may be wondering why radon gas exposure is so dangerous. Radon is a carcinogenic gas. Inhaling this gas introduces the carcinogen to your lungs. Radon exposure leads to thousands of cases of lung cancer each year, even among nonsmokers. To prevent yourself and your family from unnecessary exposure, testing is essential. While at-home testing kits for radon gas are available, you cannot take chances with possible exposure to this gas. The quality of the tests and the possibility for user error make professional testing the best idea. If you are ready to find out if radon in your home is a serious threat to you and your loved ones, schedule a professional radon test today. Inspect It Neil Home Inspections provides professional radon testing to New Jersey. Contact us to have your home tested for radon.